Description: J. 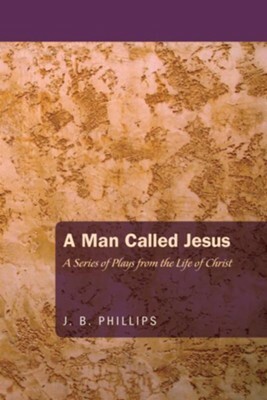 B. Phillips, best known hitherto for his widely acclaimed translation of the New Testament, has in this series of short plays about the life of Christ preserved the same direct speech and simple, dignified language that so distinguish his translation. The series starts with the first public appearance of the boy Jesus when he talks to the elders in the temple, and ends with a moving reconstruction of the crucifixion as witnessed by the soldiers, by Nicodemus, and bystanders. Written at the invitation of the BBC in England for their Schools Programme, these plays will be welcomed in book form by parents and children, as well as teachers. Schools, churches, clubs, and other groups will find them admirably suited to simple dramatization of some of the events in the life of the Man called Jesus. They will be especially satisfying to the individual reader who will find that this imaginative approach sheds new light upon familiar stories. Turn to Canon Phillips' helpful introduction for his interesting comments on the writing of the plays. About the Contributor(s): John Bertram Phillips (1906-1982) was a Bible translator, writer, and clergyman. His work translating the New Testament made him one of Britain's most famous Bible communicators. He talked of the revelation received as he translated the New Testament, describing it as ""extraordinarily alive""--unlike any experience he had had with non-scriptural ancient texts. He referred to Scripture speaking to his condition in an ""uncanny way."" Phillips was a masterful apologist and defender of the Christian faith. He upheld the basic tenets of the faith, and was able to present them as fresh to the modern reader and hearer, much as he had done with his translation of the New Testament. I'm the author/artist and I want to review A Man Called Jesus.